Former rugby union player Andy Gomarsall has had a long career in professional sport on which to draw when delivering after dinner speeches, acting as a brand ambassador or when appearing at any other public events or sports award ceremonies. 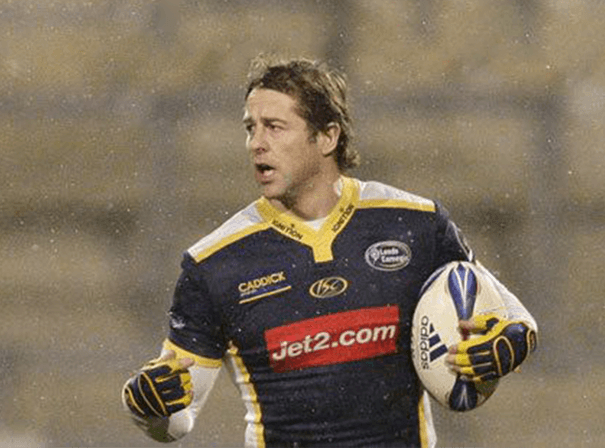 Born in Durham, Andy played scrum half for Leeds Carnegie and England but also turned out for Gloucester Rugby, Bedford, Worcester Warriors and Wasps. It was in 1992 leading the England Schools U18 team to a Grand Slam victory – the first for almost two decades – that put Andy in the spotlight. Soon after he joined London Wasps and made his full England debut against Italy. In total he has turned out 35 times for his homeland and has scored 37 points in various Six Nations tournaments and World Cups. He has captained a number of the sides he has played in owing to his great leadership and motivational qualities. Leading by example, Andy has often had to fight back from bad injuries to regain his place in various teams. After finishing with the game he has worked as co-commentator for ITV during their coverage of the 2011 World Cup. For all these reasons and more, Andy Gomarsall makes an informative and enlightening after dinner speaker who can really inspire a range of audiences. To find out more about the opportunities Andy is available for and the value he can add to your brand or event, call up one of our agents now.